Larger than their Bay cousins, Atlantic Sea Scallops have durable, white shells with radiating ribs. They have a soft, fleshy texture and a pleasantly mild and sweet flavor. 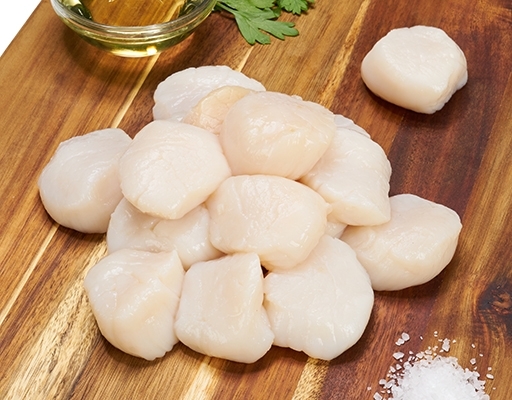 Scallops are a delicious source of Vitamin B12, Magnesium and Potassium, as well as being rich in Omega-3 fatty acids. Because these Sea Scallops are “dry,” they won’t exude water when cooking them. So they’re perfect for searing in a hot pan until nicely caramelized on both sides. You may also bake or broil them, as well as grill them on skewers with fresh vegetables. 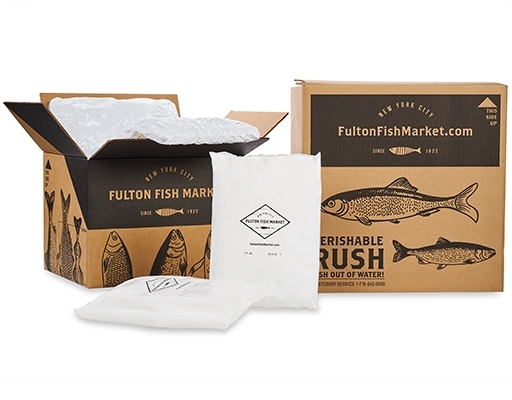 We've partnered with Fulton Fish Market, New York's iconic seafood purveyor and the second largest fish market in the world, to offer a curated assortment of seafood that's delivered to your door in two business days. Our fish is fresh off the dock and not frozen (excluding shrimp), and we're proud to be the only national retailer delivering fresh fish and seafood. Think you’re getting fresh fish from the store? Think again. It’s a long journey from the sea to a grocery store; most “fresh” fish is hauled from the ocean to the fish market, slapped on a truck to the distribution center, then placed on another truck to travel to the grocery store where it sits on ice, waiting for you to take it home. This process can take up to a week! But now, the freshest seafood can now go from the ocean to the market to your home in as little as 1-2 days. 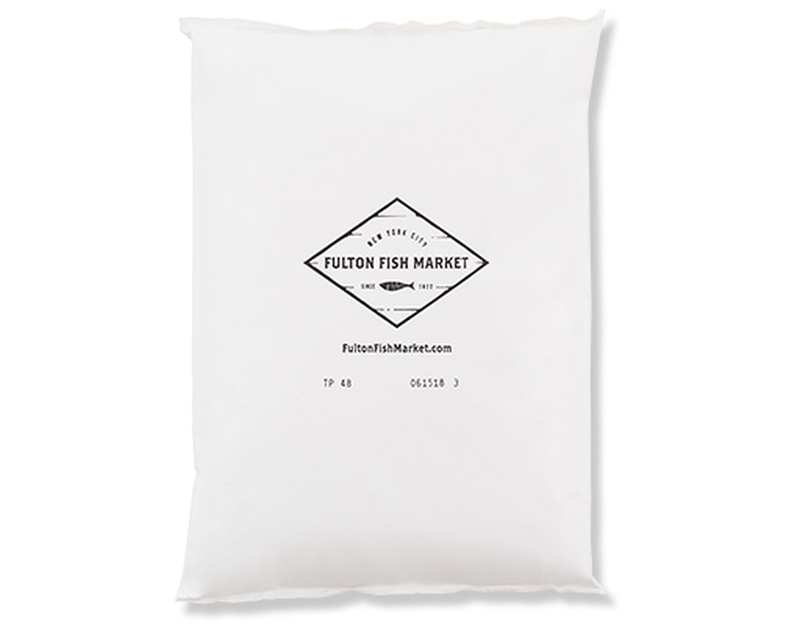 Fulton Fish Market sources the finest, most sustainable fish, including wild salmon, tuna, swordfish, snapper, halibut, and scallops, allowing you to buy market-fresh fish no matter where you live. You now have access to the same fish that the best chefs around the country buy and cook with at their restaurants. There are plenty of fish in the sea, but Fulton Fish Market's chefs select only the best every morning. 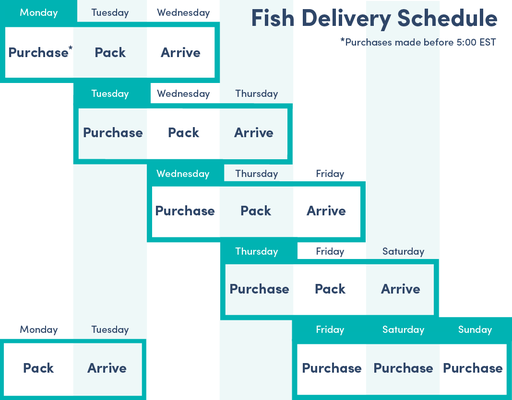 Your fresh fish is conveniently portioned and packed in state-of-the-art packaging so that it arrives quickly to your door. Thanks to our handy packs, you'll spend almost no time prepping in the kitchen and more time enjoying a delicious, nutritious meal. Orders placed before 5 pm EST will arrive in 2 business days. Orders placed on Thursday arrive on Saturday.